Please note: in 2012, 1 in 62 Australian children were diagnosed with Autistic Disorder or Asperger's Disorder; they were formally registered to receive Carer's Allowance from Centrelink (see http://a4.org.au/a4/node/695 and http://a4.org.au/a4/node/622). THERE’S no point in filling in the pockmarked walls of the Beasy family’s Sunbury home. Madison could have another meltdown. And that plaster becomes play dough beneath the 14-year-old’s powerful fist. She’ll need to be driven to school again today after more troubling behaviour on the bus. In Belgrave South, another mother is getting her children ready for school. Her son PJ is 12, but still much like a toddler. His big sister Zoe is a gifted photographer with an air of maturity that stretches well beyond her 14 years. But right now Zoe is preparing psychologically for another day at high school where she will struggle to make conversation with her peers. 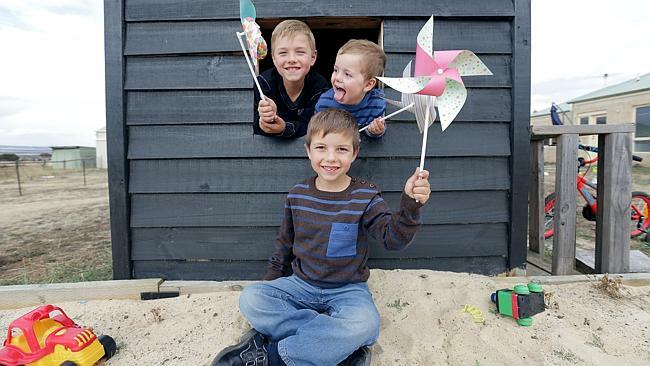 In Mickleham, three brothers are also packing their school bags. It’s a task Michael, Marco and Daniel were trained to do over many, many hours. They use picture cards that deconstruct this simple job into tiny visual steps for them to follow. A pencil case card. A water bottle card. And finally, a card showing them how to put their packs on their backs. On this routine school run that happens every weekday across Melbourne, these six children appear vastly different. Yet they all they all have one thing in common: each is “on the spectrum”. Autism Spectrum Disorder (ASD) is a broad umbrella under which an increasing number of people shelter. One in 100 Australians is affected. 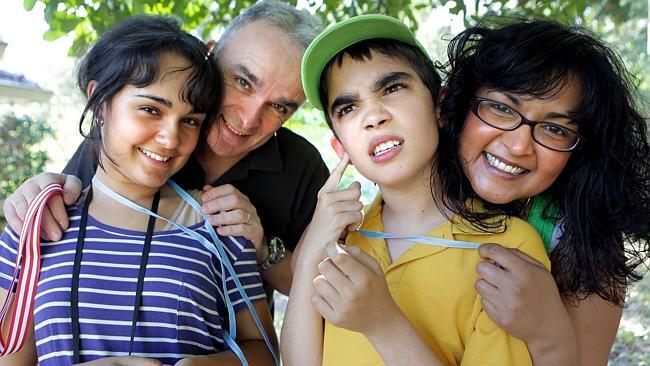 Autism Spectrum Australia describes the disorder as a lifelong neurodevelopmental disability that affects the way a person interacts with their environment and other people. It includes a range of conditions such as autism, Asperger syndrome and pervasive developmental disorder. 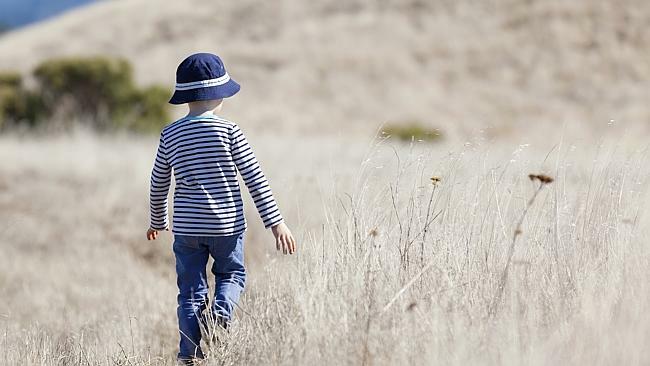 More children than ever before are being diagnosed with autism. Beryl Raufer, the interim CEO of the disorder’s peak body Amaze, says every individual with ASD will be affected differently. She says one of the biggest misconceptions is that autism is just like Rain Man, the movie depicting Dustin Hoffman’s as a “mega-savant” with a superior memory and intellectual disabilities. But in reality there’s a huge variety — “spectrum” — of characteristics and abilities. And the similarities and differences in people with ASD is never more stark than when siblings are diagnosed. Take the Harris family. It’s Thursday afternoon and mum Liz is standing in the driveway waiting for her son to arrive. At 3.45pm a lanky 12-year-old boy emerges from the school bus. As he walks towards his mother he doesn’t say hello or even look up. Liz gently tilts his chin up, making it more difficult to avoid eye contact, but even now those brown eyes dart. His mother reminds him that it’s time to collect his big sister Zoe in the car. “Zoe, Zoe, Zoe, Zoe,” he repeats the word until it is no longer about his sister. It’s just a sound. This is echolalia, a common occurrence in children with autism. Later, when Zoe strolls out of the building to meet them, PJ is sitting in the back seat of the car sucking on the end of an old chocolate wrapper. “Hi, how are you?” the 14-year-old asks her mother, with precise eye contact and a smile. Zoe also has autism. While both Liz’s children are on the spectrum their abilities and behaviours are worlds apart. Liz says she often feels stuck in a time warp with her son, who is still heavily reliant on her. Communicating with him can be like the guessing game parents must play with a crying baby. Zoe also has difficulty communicating, but not like PJ. She has Asperger syndrome, which is also under the ASD umbrella. Her gift is a passion for photography and by the time Zoe was PJ’s age she had put on her own photographic exhibition. Her ability to hyper-focus enables her to concentrate intensely behind her camera lens for a long time. The images that result express intense emotions that Zoe struggles to articulate, especially with her peers. It’s so much more than shyness. “I find it hard knowing what’s going on around me,” she explains. “Especially at school when there are large groups of people talking.” More children than ever before are being diagnosed with autism and boys are more likely to be affected. Some speculate the increased prevalence may be due to the survival rate of premature babies, increased paternal age or anti-depressant exposure. 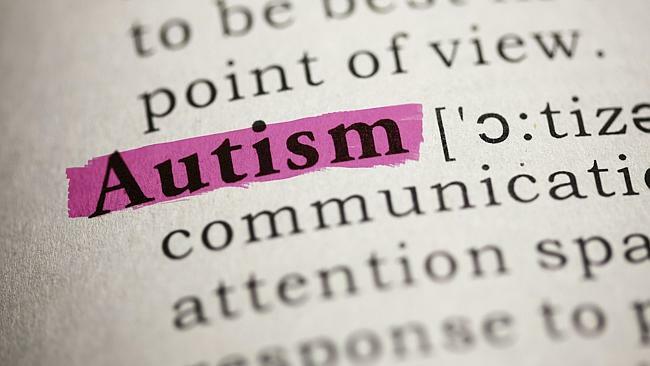 But Murdoch Children’s Research autism expert, paediatrician Professor Katrina Williams, says it’s more likely that it is not a “true increase” in cases, but a greater awareness and broadened diagnostic criteria. A diagnosis can only be made after assessments by a paediatrician, psychologist and speech pathologist. Prof Williams says there is still a diagnostic grey zone that can lead to both over and under-diagnosis. “While it’s simple for paediatricians to identify children at the extreme ends of the spectrum, there is still this ambiguity for children who don’t fit exactly into the criteria,” she says. Not enough is known about what constitutes “normal or near-normal” across different ages, genders and cultures. Even though genetic and environmental links to autism are emerging, there is no known single cause. Speculation is not helpful and may even be harmful. For instance some people claim vaccines, mercury, gut flora and cerebral inflammation cause autism. This has led parents to withhold vaccinations and give their children chelation therapy, which involves chemical infusions to treat heavy metal toxicity. Prof Williams’ research shows that so far no complementary or alternative therapies are proven to improve ASD. There are some medications that lessen anxiety, attention deficit hyperactivity, poor sleep and aggressive and disruptive behaviours, but these can have side effects, such as weight gain and drowsiness. Parents describe the grief they go through when their child is diagnosed. It says so much about what their life may no longer be like, but gives very little certainty about how it will actually be. Liz remembers her husband Phil lamenting the loss of the son he thought he would kick the football with, even though he knows his son, was just as likely to prefer karate. “You are grieving the rites of passage that you may miss out on as a parent,” Liz says. Classrooms are not always equipped to cater for children with ASD. Parents report many teachers still simply see their children as naughty. In Victoria, there have even been disturbing accounts of students forced to sit on a chair or under the principal’s desk for hours, physical restraints or the use of fenced-off enclosures. Ms Raufer says children with ASD find it difficult to concentrate in a busy environment. “One mum said it took her son 19 minutes to eat a banana because every time he went to have a bite, someone distracted him.” Most teachers though are doing their best with what they can and some even detect ASD because behaviours overlooked by their parents as idiosyncratic stand out in the classroom. A Victorian early childhood teacher, who spoke to the Herald Sun anonymously, said a child on the spectrum would often hate having someone sitting close to them on the mat, they rocked and wiggled constantly or poked their tongue in and out. Raising the possibility there is a problem with parents can be tricky. She recalls just one family who refused to engage on the matter, at all. The hardest, but eventually the most helpful aspect of managing a child with autism in the classroom, was encouraging the parents to share the diagnosis with their classmates. This helps reduce bullying and social isolation. 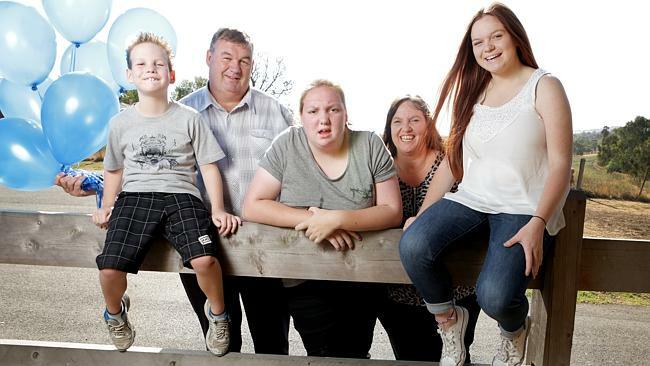 The Victorian parents who spoke to Weekend say having a child on the spectrum has put their lives on a different trajectory, but it is not a tragedy. They have so many unanswered questions about causes, treatments and long term outcomes. But they certainly aren’t after a cure for autism. It’s part of who their child is. This is an edited version of a longer story which is published in Weekend today. To read the full story get the Weekend lift-out in today’s [29/3/2014] Herald Sun. WHEN Madison Beasy gets frustrated she bangs her hand against her head. Always the right hand, always the right side of her head. The sound it lets it be known it’s not a light tap. It’s also not an uncommon occurrence. “She can fly off the handle 2-3 times a day, if not more,” her mother Teresa says. At age four Madison was diagnosed with pervasive development disorder, which comes under the ASD umbrella. She was a placid, independent baby who fell behind her peers. Teresa says her 14-year-old daughter can speak, but she can’t have a conversation. For example, Madison has learnt how to say, ‘‘How was your day?’’ But then she doesn’t know how to continue the conversation. This frustrates her, making her more likely to lash out. And her anger management issues have made her more likely to be left out because some children are frightened of her. “She’s like Jekyll and Hyde, one minute she is fine, the other she can just switch and fly off the handle,” Teresa says. Lately life has become even more complicated for Teresa, her husband Garth and children Keeley, 16, and Kayne, 7. Teresa has been told that Madison may no longer be allowed to travel on the school bus because she has been banging on the windows and grabbing at the other children. They don’t know what sets her off, making it hard to know how to stop it. Unless Teresa can control her, she may have to travel 100km a day to ferry her from their Sunbury home to Madison’s Jacana school. But Madison has recently started new medication, which is beginning to have an effect. It offers so much promise in reducing her anger outbursts that recently her parents even began filling the holes in their walls left by her punches. As Madison gets older and bigger she is harder to control, making it difficult to go out as a family. She also seems to be becoming more aware of her differences. She sees her older sister get a part-time job and go out with friends. Madison wants that too, she has told her mother. Teresa hopes that through better community understanding her daughter will one day get that chance. Music and Sound Therapy as a Treatment for Autism.